Sunday, 4th November, 2017 – Dr. Konstantinos is back in action, and he’s replicating more of the bad researches touting that e-cigarettes and vaping are more harmful than smoking traditional cigarettes. 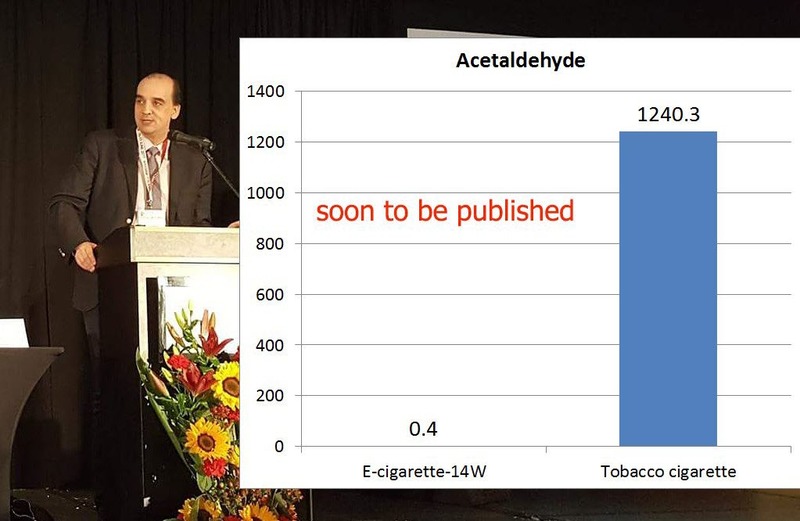 The purpose is to validate research that has shown the benefits of switching from smoking traditional tobacco to vape, and shine a light on the bad methods of research which has confused the public with wide press and media coverage even though the same results cannot be replicated when using real life usage methods. The truth remains that researches and studies costs money. Unfortunately, for every research, journal and study that responsible doctors and scientists execute, many more are actually supported by organizations who don’t wish that vaping and electronic cigarette products continue to rise in popularity. It’s an attempt in influencing a revolutionary invention into being negatively perceived by the public, and it’s a formula that works when effectively leveraged through press releases, news coverage and the media. For doctors and scientists with integrity, their attempts in overturning bad press with facts often get far less media attention because their expertise isn’t in marketing. Hence in this day and age and in the coming future – the only people who can make things right and change the future for the better then depends on the public, who has the power to educate ourselves and remain unaffected by the media. After all, the effectiveness of manipulation through press releases, news coverage and the media used to be much stronger in the past when the world isn’t connected by information. Today, that has dramatically changed and we are empowered with the capability to get the right information and make even more accurate judgments. The interesting developments and delivering on the promise that Dr. Konstantinos mentioned most probably hints that he and his team has recently gotten the necessary support or funding to continue his work. It seems like a continuing development, as the good of a revolutionary invention like electronic cigarettes and vaping can’t be suppressed by misinformation forever. Oftentimes, we also need not do more other than to stand our ground with facts and the right information. Standing our ground is a choice, and if we are clear that the choice is for the betterment of ourselves and others, there isn’t any reason for us to be affected or swayed.